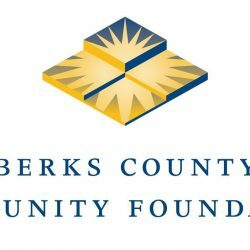 READING, PA – Programs that immunize children, provide free medical and dental care, and teach children about and give them access to healthy foods are among those receiving grants from the Community General Hospital Healthcare Fund of Berks County Community Foundation. The Community General Hospital Healthcare Fund Advisory Committee recently awarded a total of $163,325 in grants to nine initiatives. $60,000, payable $30,000 a year for two years, to Berks Visiting Nurse Association for the Berks Community Health and Wellness program to provide childhood immunizations, flu vaccines, and wellness clinics.$30,000, payable over three years at $10,000 each year, to the Western Berks Free Medical Clinic to provide free medical care to the uninsured.$15,000 to hire a local coordinator to fundraise and organize the Pennsylvania Mission of Mercy (MOM) event to be held May 18 and 19 at Santander Arena. MOM is a national organization with state affiliates. The MOM event is a free dental clinic that will provide care to the community for two days.$10,000 to Greater Berks Food Bank to support the Produce 4 Kids Program.$10,000 to Reading Public Museum to present Doc McStuffins: The Exhibit through May 2018. The exhibit demystifies the hospital experience, showing children that hospitals are safe, and even fun, places to visit.$10,000 to Hope Lutheran Church in Reading for Café Esperanza to renovate space in a building next to the church to offer a “pay as you can” café based on a worldwide program called “One World Everybody Eats.”$10,000 to Baseballtown Charities for the construction of the Dream League Field.$9,325 to United Community Services for Working Families to support the Nurse Aide Training Program, specifically to purchase program supplies and to cover the cost of the Pennsylvania State Nurse Aide Exams.$9,000 to Reading Recreation Commission for the Seeds to Sprouts Urban Cooking Program. The program teaches city youth to grow and cultivate healthy food and then use that food to prepare nutritional meals.